Trick or Treat Studios and Global Merchandising Services are proud to present the officially licensed Iron Maiden Eddie Powerslave Cover Mask. 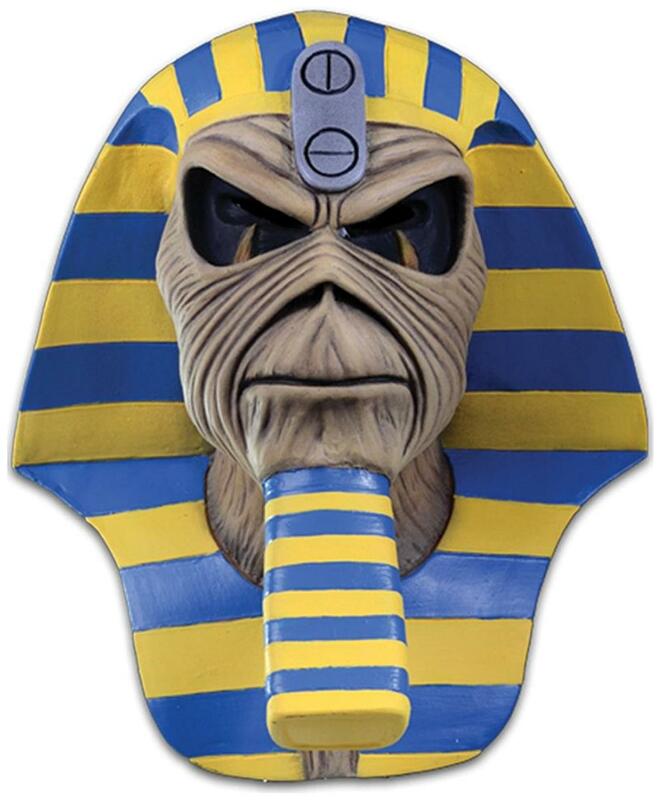 Sculpted by Erich Lubatti, this mask is based on the album cover of Iron Maiden's 5th Studio release, Powerslave. Every detail of Eddie is captured in this amazing latex mask. So get yourself the official Iron Maiden Eddie Powerslave Cover Mask, put on a copy of Powerslave and rock out!